Insolight’s photovoltaic modules relies on a unique patented technology called planar optical micro-tracking. 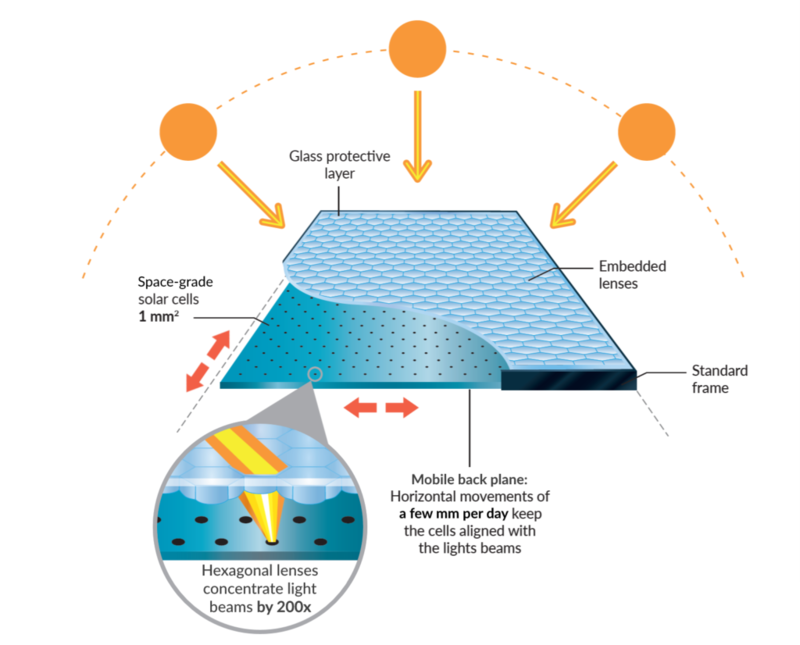 Embedded under the cover glass, an optical layer funnels concentrated light beams directly onto an array of high efficiency solar cells. The integrated tracking system keeps each cell in focus regardless of the Sun’s position. The resulting flat panel combines very high efficiency with ease of mounting on any standard rooftop or ground-mounted installation. 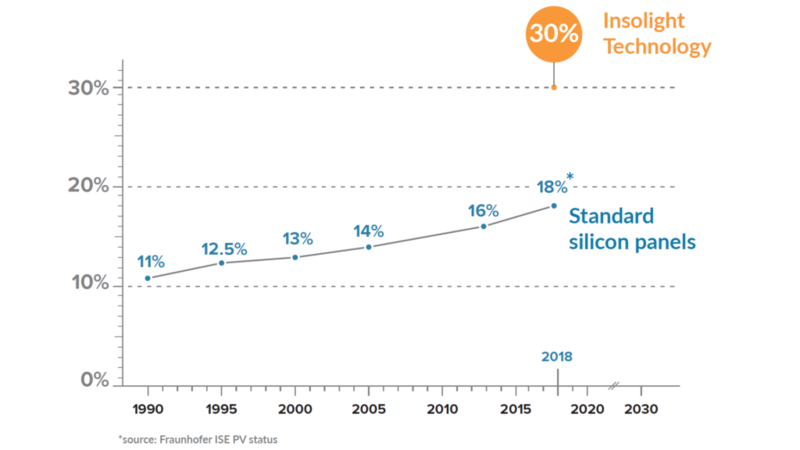 The technology allows unprecedented results for a flat solar panel, with a peak efficiency close to 30% – while mainstream modules achieve 18% on average. Efficiency is key for the return-on-investment, as it allows a better payback of the solar installation. Since the solar light input is optically boosted, Insolight’s modules can reach an optimum efficiency with only 0.5% of the surface covered by solar cells. 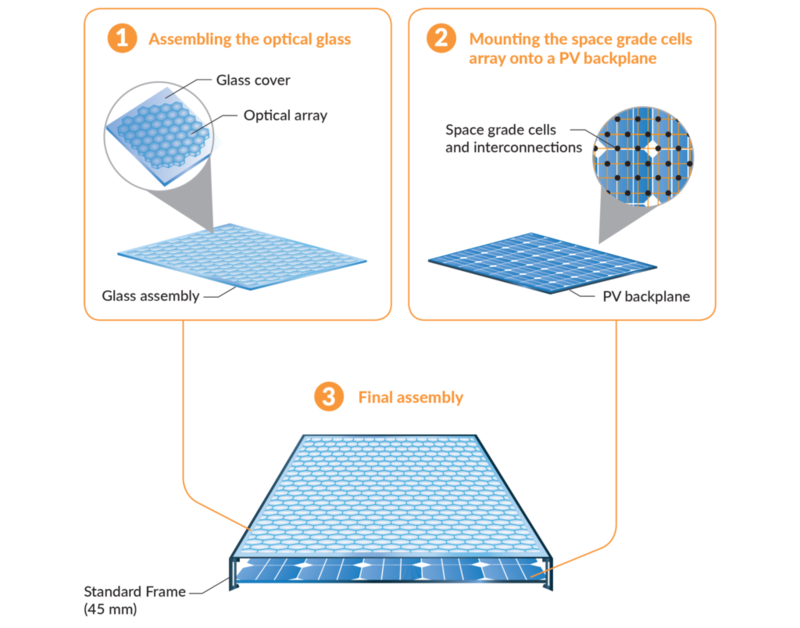 This approach dramatically decreases the cost of space grade photovoltaics and enables its use in a consumer product. With its novel architecture, Insolight targets to reduce solar electricity costs by 30% on rooftops, by significantly boosting the energy yield and the return-on-investment – well beyond the capabilities of mainstream PV modules. The technology is conceived from the ground up with simplicity in mind. Sun tracking is achieved thanks to subtle horizontal sliding movements, while the module stays at a fixed tilt. 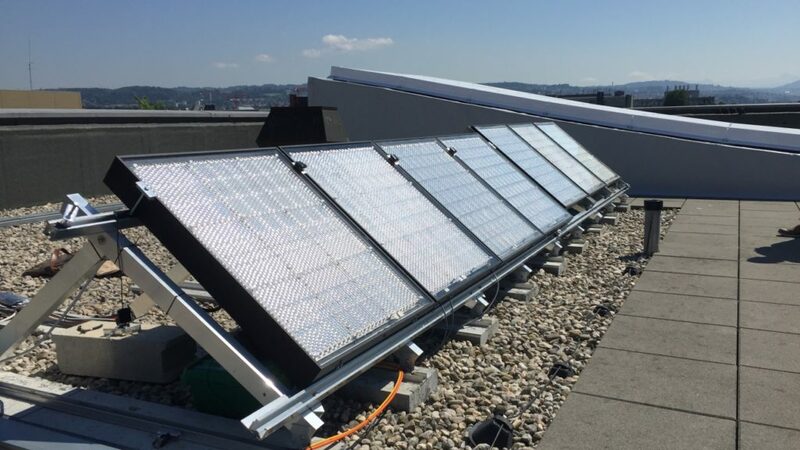 Insolight’s modules can be easily set up in any environment – including rooftops, where the need for high efficiency is the strongest. The key components of the technology have already been extensively qualified in highly-demanding applications. The optical layer is made from a polymer known for its durability and resilience to UV light exposure, while the space-grade photovoltaic cells endure extreme conditions of radiation and temperature in satellite applications. 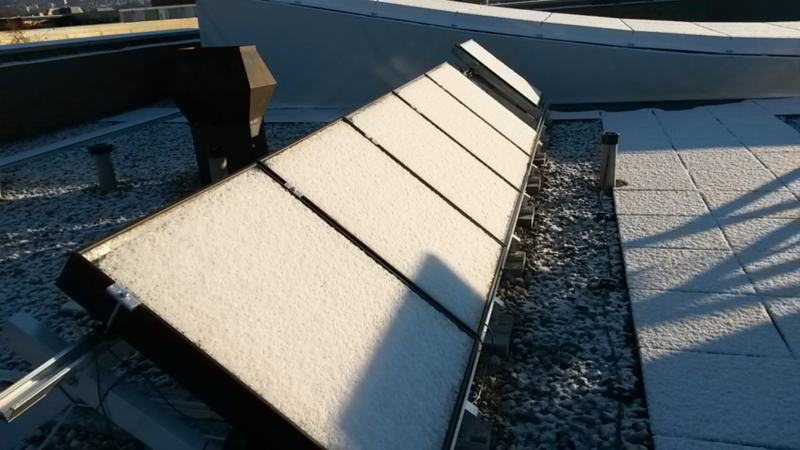 Reliability was confirmed by several pilot installations in Europe, with modules installed outdoor for more than a year without degradation, successfully enduring winter conditions, heat waves and storms. Insolight’s system can be assembled as an overlay on top of mainstream PV modules. This hybrid approach is especially interesting to maintain energy harvesting under cloudy conditions. The technology involves a few module-level assembly steps, which can be added at the end of existing production lines, taking leverage of production capacities already in place. No complex cleanroom processes are required.